Psycho Las Vegas 2017 – set to take place from August 18th through August 20th, 2017 with a pre-party August 17th at the Hard Rock Hotel And Casino Las Vegas in Las Vegas, Nevada – confirms the full lineup of the annual gala. 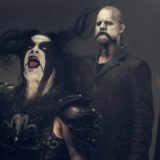 The event includes exclusive 2017 US appearances by King Diamond performing the landmark Abigail release in its entirety, French progressive rock unit Magma, black metallers Abbath led by former Immortal guitarist/vocalist Abbath Doom Occulta, and cult stoner/desert rock unit Slo Burn fronted by Kyuss’ John Garcia. Additionally, Mulatu Astatke, the father of Ethio-jazz, will be making his west of Chicago exclusive appearance while Manilla Road, who will be celebrating their 40th anniversary, will perform their classic Crystal Logic in its entirety as a worldwide exclusive for Psycho Las Vegas 2017. Previously unannounced lineup additions include (alphabetically): Ace Frehley, Black Anvil, Blood Ceremony, The Brian Jonestown Massacre, Celeste, Cirith Ungol, Cloud Catcher, Conan, Corrosion Of Conformity featuring Pepper Keenan, Diamond Head, Earthless, Eternal Tapestry, Fister, GEQ, Gojira, Gost, Graf Orlock, Heavy Temple, Laura Pleasants & Special Guests, Mothership, Mouth Of The Architect, Mustard Gas & Roses, Pentagram, Psychic TV, The Rods, Ruby The Hatchet, Sasquatch, Saturndust (AKA Flights), Sleep, Sons Of Otis, Toke, Urchin, Usnea, Yawning Man, Year Of The Cobra, and Youngblood Supercult making Psycho Las Vegas 2017 a legendary event-in-the-making and one not to be missed! See the complete lineup below. Various ticket options for Psycho Las Vegas 2017 are available at THIS LOCATION. Payment options for Psycho Las Vegas 2017 are available through Affirm, with immediate delivery of tickets. More info at THIS LOCATION.